Volcanic unrest is a complex multi-hazard phenomenon. The fact that unrest may, or may not lead to an imminent eruption contributes significant uncertainty to short-term volcanic hazard and risk assessment. Although it is reasonable to assume that all eruptions are associated with precursory activity of some sort, the understanding of the causative links between subsurface processes, resulting unrest signals and imminent eruption is incomplete. When a volcano evolves from dormancy into a phase of unrest, important scientific, political and social questions need to be addressed. 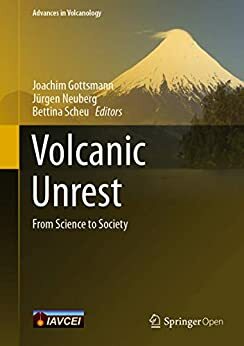 This book is aimed at graduate students, researchers of volcanic phenomena, professionals in volcanic hazard and risk assessment, observatory personnel, as well as emergency managers who wish to learn about the complex nature of volcanic unrest and how to utilize new findings to deal with unrest phenomena at scientific and emergency managing levels.